CERC-TRUCK’s engine and powertrain research focuses on medium-duty (MD) and heavy-duty (HD) applications. For MD trucks, the consortium conducts research and development in engine systems targeted for medium-duty range extender applications. While MD trucks have traditionally used diesel fuel, there is a growing trend to switch to gasoline engines. However, those gasoline engines are not optimized for medium-duty or range-extender truck applications. The consortium assesses needs, defines vehicle-level targets, and cascades down the vehicle-level requirements into engine requirements to start engine design studies. 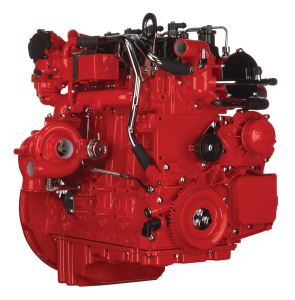 For HD trucks, the consortium optimizes HD engine combustion systems for high-efficiency operation using low-carbon fuels. CERC-TRUCK looks to understand the potential for low-life-cycle carbon fuels for use in low-temperature combustion systems, characterize low-life-cycle carbon fuels and test them on a single-cylinder engine, and demonstrate the benefits of the low-life-cycle carbon fuels on multi-cylinder engines.